With crystal clear audio and affordable rates, you’ll be more likely to host Argentina conference calls with your team on a regular basis. Managing an international team poses several communications challenges. Global virtual phone numbers and international conference calls go a long way toward building trust and boosting collaboration. Here’s how you can use global virtual numbers and international conference calls to better manage a team based in Argentina. Let’s start with localization. 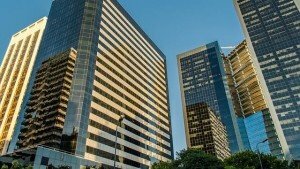 How can you ensure that you’re US office is viewed as approachable and available to a team located in Argentina? Getting a global virtual phone number that’s local to Argentina can help tremendously in that regard. For example, you can order a virtual phone number for Buenos Aires, Argentina and then configure it so that all of your incoming calls are forwarded to your main office in USA. To your team members, it’s a regular phone number for an office in Buenos Aires. This “local” number is not nearly as intimidating to call as an international phone number located in another hemisphere. Plus, the perceived costs are low, if any. You can even order toll free virtual phone numbers for Argentina. Should any of your Argentina-based team members need help, want to run ideas by you, or have any other reason to speak with you, all of the barriers to calling you have been removed. Likewise, with a local Argentina phone number, you’ll be perceived as being nearby, even if you are located half a world away. As you travel around the world, your Argentina global phone number can be reconfigured to follow you. Thus, you’ll be readily available using the same virtual number. 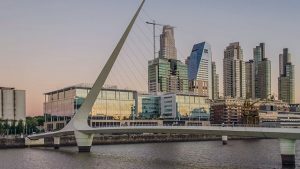 Global virtual numbers for Argentina are indispensable for one-on-one phone calls with individuals, but what about when you want to collaborate with the entire team? That’s where international conferencing comes into play. Again, localization brings down barriers, making our international conferencing plans perfect. Your team members in Argentina will dial a local phone number or a toll free phone number unique to Argentina in order to access the conference call. Meanwhile, you’ll dial a local or toll free access number for your own country. If you have attendees from other countries, they, too, can access the call using an access number specific to their countries. Our global conference calling service uses the finest PSTN telecommunications networks on the planet, resulting in crisp, clear audio clarity. Since our global conferencing rates are extremely competitive — as low as $0.07 per minute for Argentina participants via the Connect app — cost will be less of a concern for the host of the call. This and localization work together to build trust and boost productivity. We can help you with both international conferencing and global virtual phone numbers in Argentina.